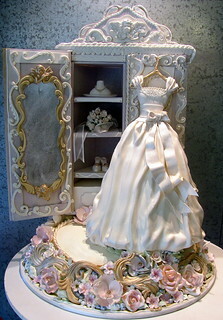 3-D cake as a wedding dress and armoire. Cake is the floral base, dress and bottom drawer. Serves 150 people.